Dry rot repair is no care for the deck waterproofing experts at Prestige Deck Coating. We recently took on a detailed job in San Clemente CA. It was a dry rot plot fought and won! Dry rot repair. We had to remove a small part of the deck down to the beams because of dry rot. Battle one won! Railing repair. The railing was rusty, so we cleaned it up, saving the owner the high cost of replacement. Battle two, quickly through! Drip edge flashing. Underneath the railing repair we placed new bonderized flashing along the exterior of the decking as a deck waterproofing base. Battle three, a breeze! Stair nosings. 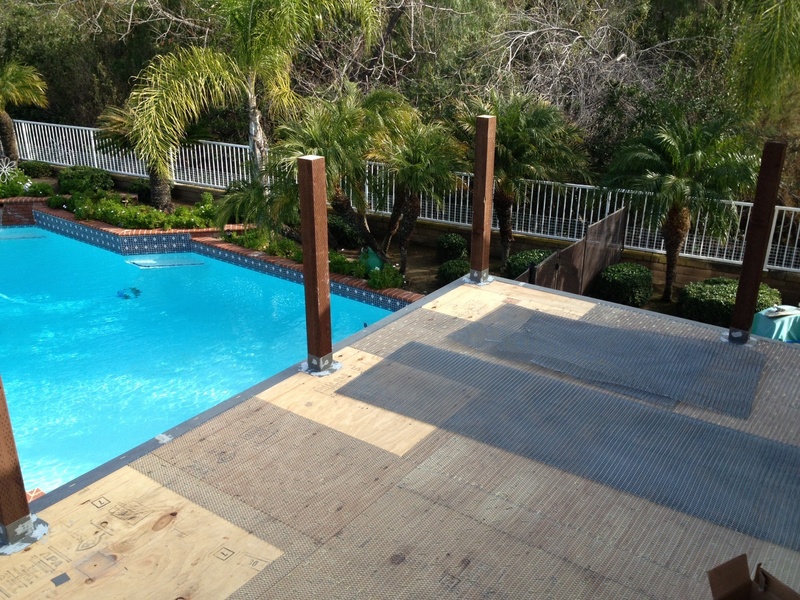 This deck repair project gave us a fun challenge with its stairs. We replaced the nosings. These protect the edges and add the safety feature of no slip grip. Battle four, no chore! Sloping. This deck had pooling. This was the cause of the dry rot, as when water pools, it eventually seeps through the improperly waterproofed concrete surface. It then sits on top of the plywood sub-floor, unknown to the deck owner. Soft spots appear, and then it is too late. 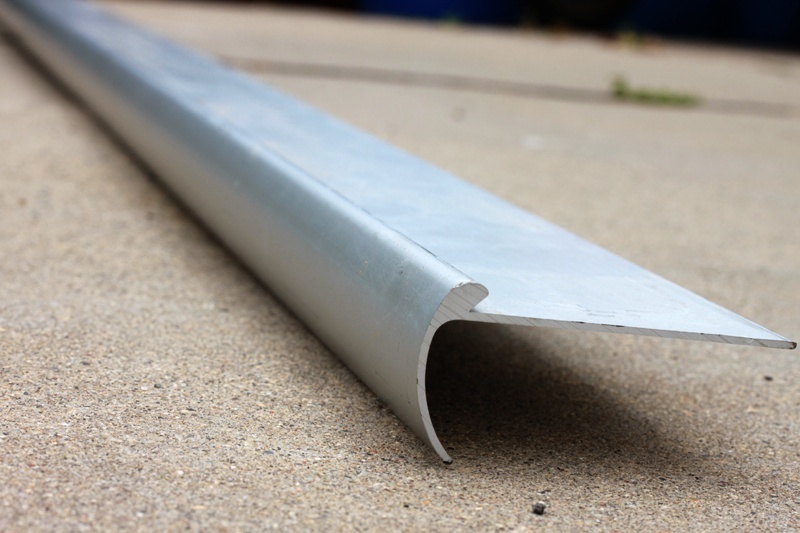 So, the solution to pooling is ensuring proper sloping to allow any excess water on the deck surface to drain off the edge of the deck coating. An hour after a good rain, if your deck has deeper than a dime thickness of water accumulation, you have an improperly sloped deck. With Prestige Decking on the scene, after battle five, we are alive! Crete System. 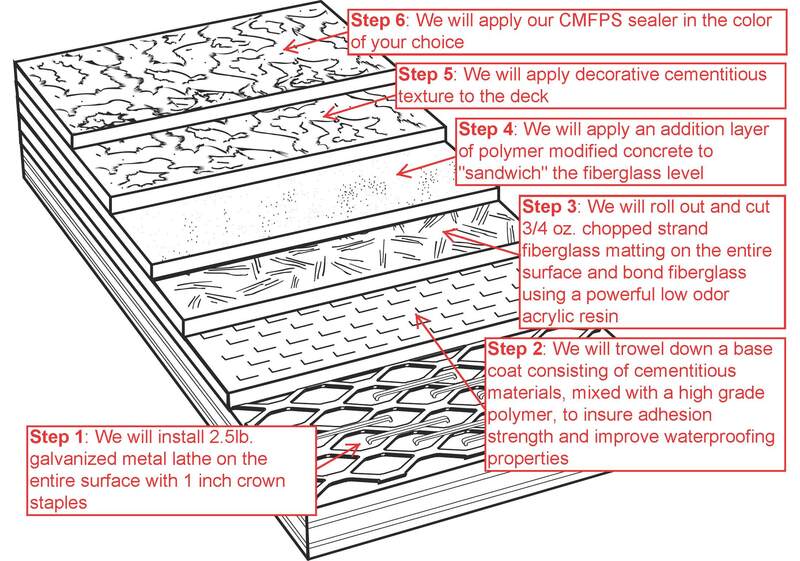 The last step in any good dry rot repair is a professional deck waterproofing system. We use a few different systems based on customer need. This project called for the Crete deck Coating system. 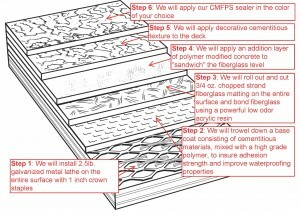 This is a 5 layer deck repair method that guarantees a war won! Dry rot repair plot fought and won, in six simple steps! 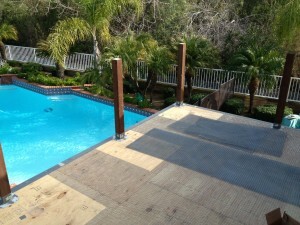 Prestige Deck Coating is your Orange County Ca deck repair specialist. Call us today for a free estimate and learn about our 10 year warranty! 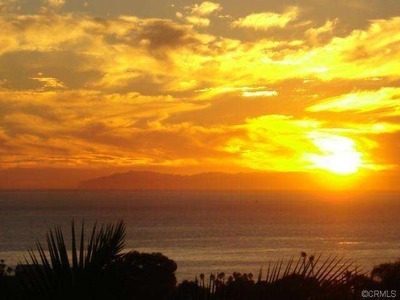 ← Waterproofing the Olas at Las Bolas!